Have a look at the new upcoming biome cities in our new Development Recap video! 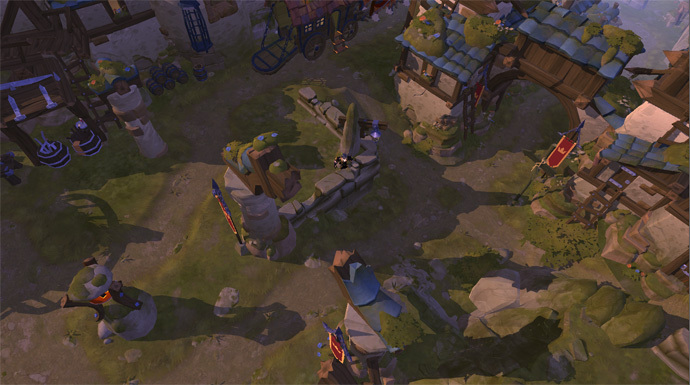 Cities are one of the key features of Albion Online, as they are both the social and trading hubs of the game with players being ever-present. In their current state, they all look very similar to one another. 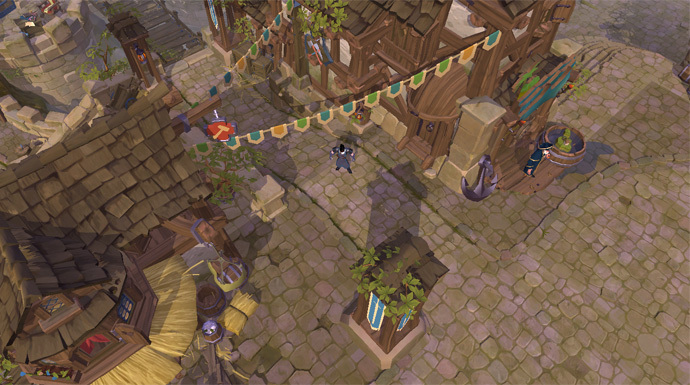 This will change with the upcoming Galahad update, as we will give ever city their own distinctive look and layout, reflecting their place in the world and economy of Albion. Deep in the cold, harsh mountains lies a city, built by brave adventurers on a mountain slope. The houses are built on a steep with a view directly into the dangerously deep valley. This city is certainly not for the faint of heart. 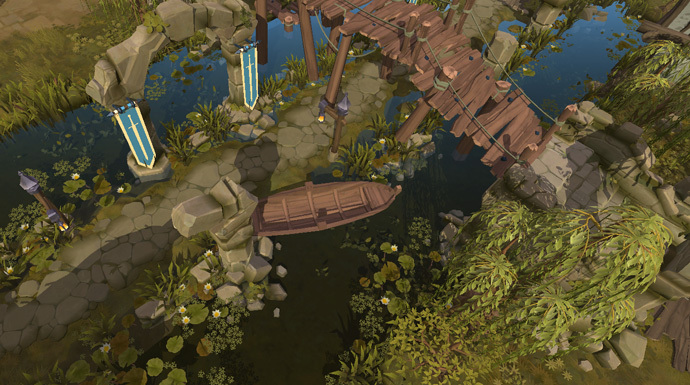 The swamp city is built on ancient, half-sunken ruins. 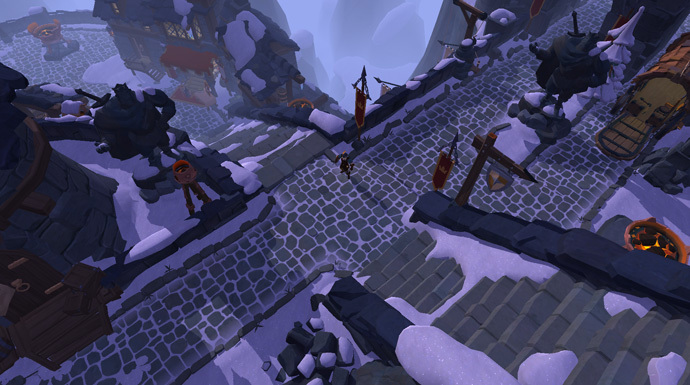 In order to get around, traders and travelers alike have to cross its many bridges. Be careful not to fall into the water! Similar to the mountains, the steppes are not an easy place to survive. 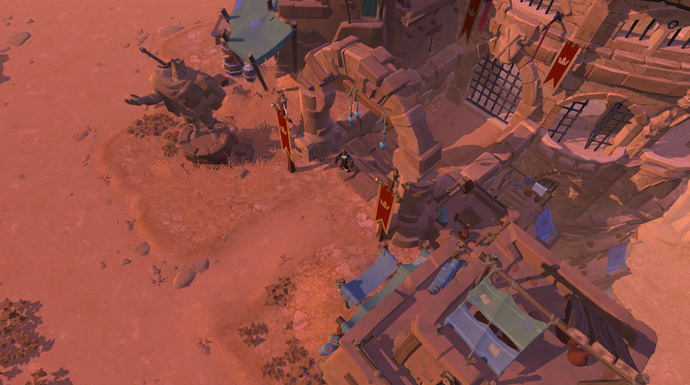 Luckily, the Royal Forces have set up a town in the middle of the dry steppes, giving traders a place to rest and stock up on water and resources. The forest city is built on what used to be a castle. During the dark ages of Albion, nature had started to take over… until the Royal Expeditionary Forces came along and transformed it into a thriving forest town! The hill this city is founded on used to belong to the ancient Keepers of Albion, and they consider it one of their holy sites. This is why the city is built as a stronghold, as the Keepers occasionally launch attacks in order to take back what was once theirs. In the middle of the Royal Continent lies the center city, built on the remnants of a magnificent fortress. This fortress is the last remaining legacy of the old kings of Albion, and is surrounded by the Undead and various other vicious creatures. 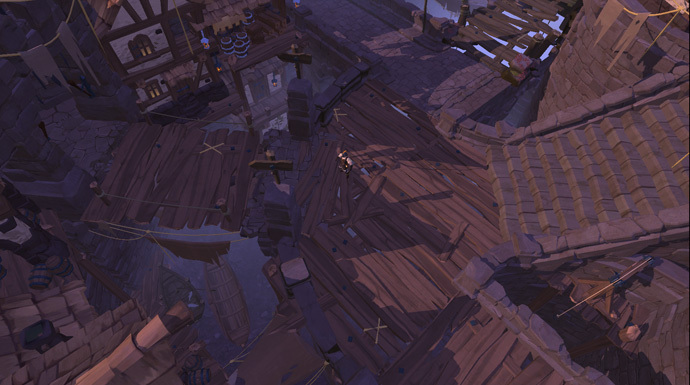 Nonetheless, the Royal Forces have managed to claim the site and turn it into a trading hub. They are not in full control, as the city is in the middle of the red zones, but have provided a multitude of tunnels and secret passages for traders and criminals alike to enter and leave the city. Are you looking forward to the new cities? Which town will you settle in? Let us know in the comments below or on our forums!